Mexico’s new left-wing president on Wednesday said his relationship with President Trump is “good” and promised the two will talk about immigration soon. President Andres Manuel Lopez Obrador, popularly known as “AMLO,” is expected by many to become a vocal critic of the Trump administration and come into conflict on immigration issues. A caravan of about 7,000 migrants is currently residing in Mexico’s border cities, causing financial strain and social problems, while the U.S. remains slow in processing asylum application and detains anyone attempting to cross the border illegally. 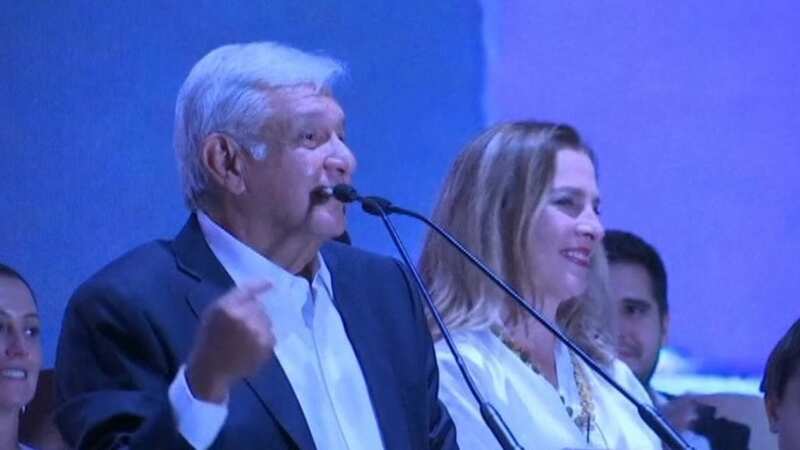 Despite Trump’s threats to shut down the border with Mexico, Lopez Obrador said he believes the two sides can agree on development aid to Central America and Mexico in a bid to create jobs for the migrants. But Mexico’s new president avoided the question whether he will allow the migrants to remain in Mexico while the U.S. processes the asylum claims, a policy proposed by the Trump administration that was struck down by the courts and will likely be determined by the Supreme Court. Members of the migrant caravan are reportedly getting disillusioned with the process and the U.S. reluctance to grant entry into the country. Some even stormed the border on Monday, with witnesses observing migrants using blankets and ropes to help climb over the structure separating California from Tijuana, where thousands of migrants have been gathering in recent days. Tijuana Mayor Juan Manuel Gastélum told Fox News his city cannot continue providing support for the migrants, saying already-stretched city resources have been emptied since the crisis began. Migrants residing in Tijuana are also suffering and are exposed to health problems, the city’s Health Department said last week.